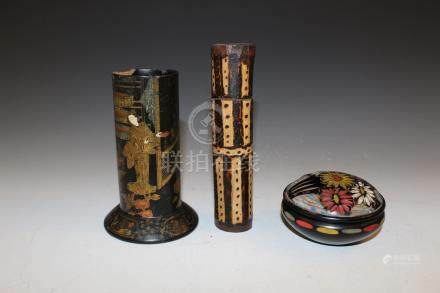 1: Three Japanese lacquer items. 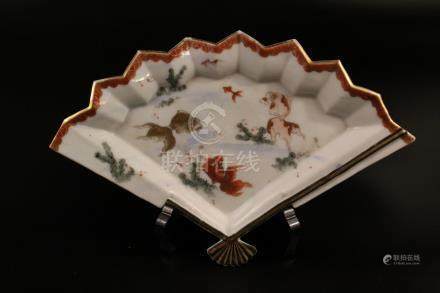 2: Chinese porcelain fan-shaped dish. 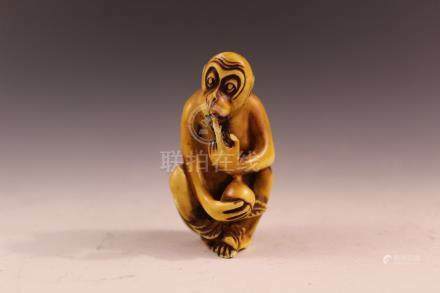 5: A Japanese carving of a monkey with a frog. 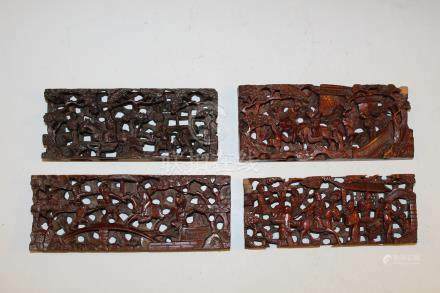 6: Set of four Chinese carved wood panels. 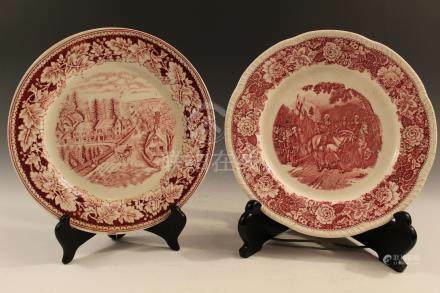 7: Two Homer Laughlin China plates. 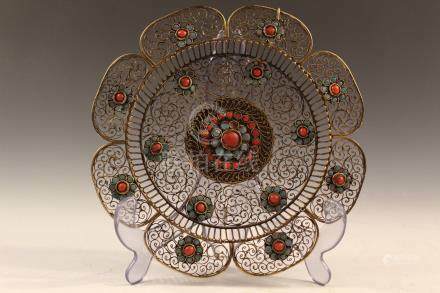 8: Limoges and Imperial Austria dishes. 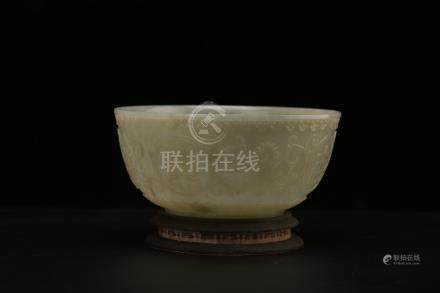 9: Chinese carved jade bowl. 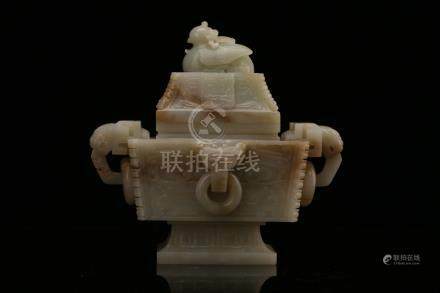 10: Chinese carved jade brush pot, Qianlong mark. 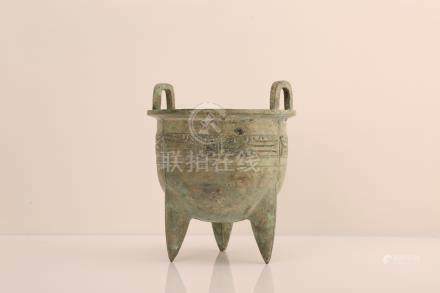 11: Chinese carved jade brush pot. 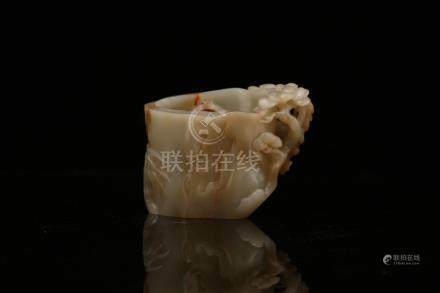 12: Chinese carved jade vase. 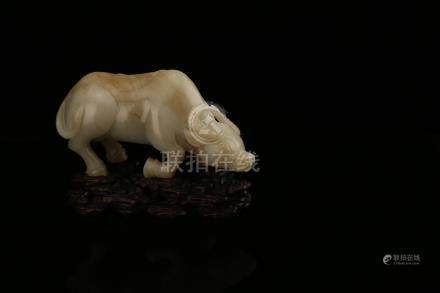 13: Chinese carved jade figure of a bull. 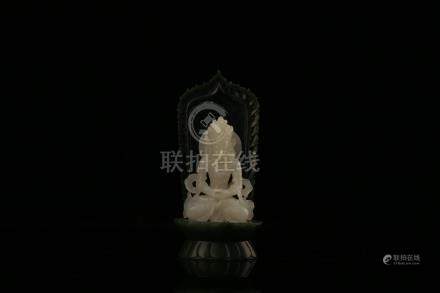 14: Chinese carved white jade figure of a Buddha. 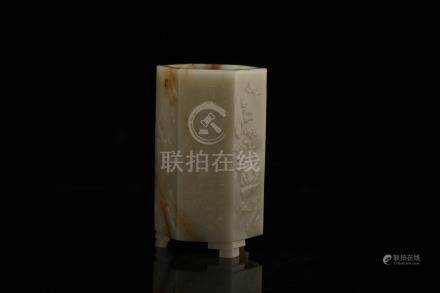 15: Chinese carved rock crystal seal. 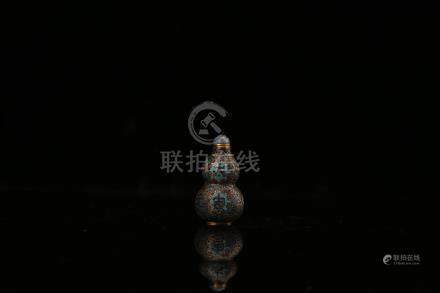 16: Chinese cloisonne snuff bottle, Qianlong mark. 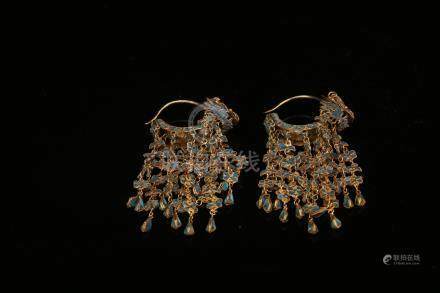 17: Pair of Chinese green earrings. 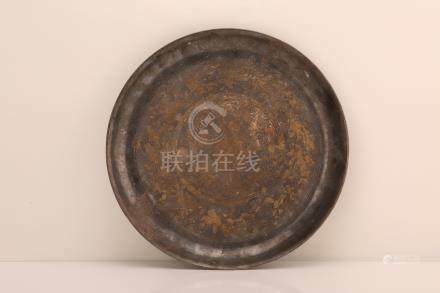 18: Chinese bronze incense burner, mark on the bottom. 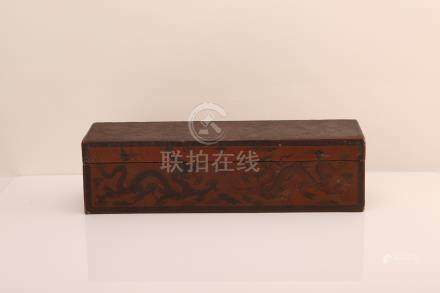 19: Chinese Zitan wood box. 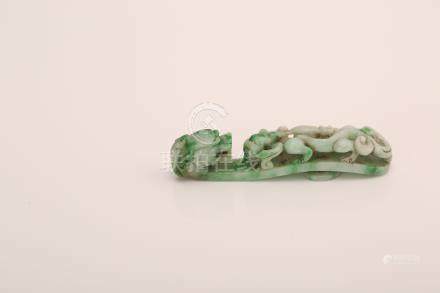 20: Chinese carved jade buckle with dragon decoration. 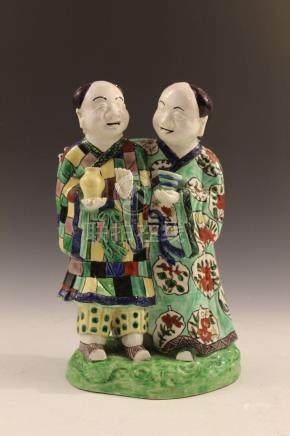 22: Chinese porcelain figure of two men. 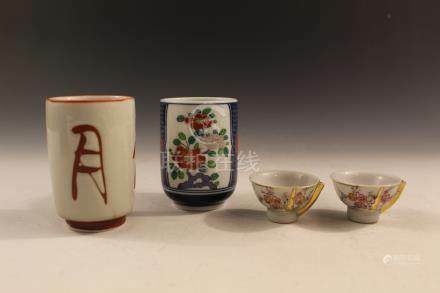 23: Three Chinese porcelain items. 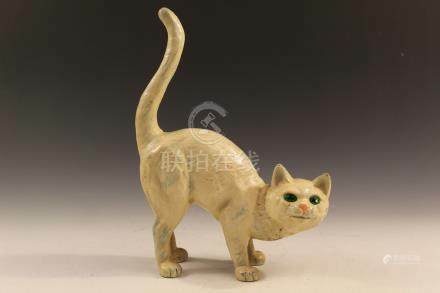 24: Chinese Carved wood bust. .
25: Cast iron cat door stopper. 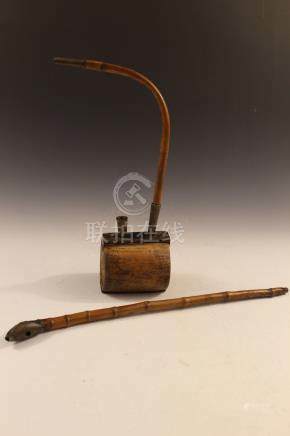 28: Two antique Chinese bamboo smoking pipes. 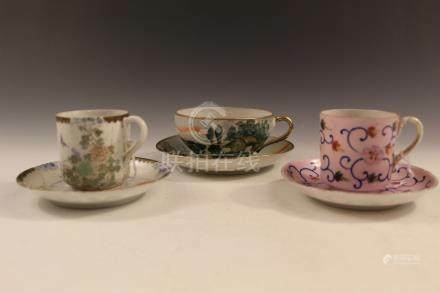 29: Three sets of Japanese porcelain cups and saucers. 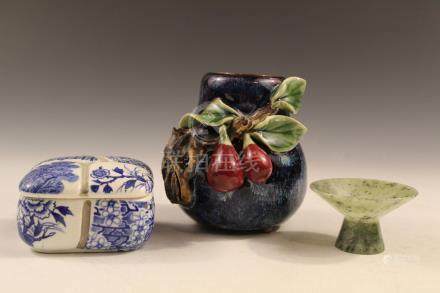 30: Four Japanese porcelain items. 34: Chinese carved jade cicada. 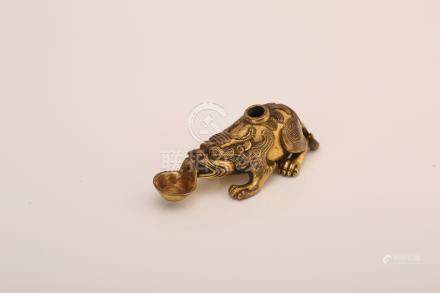 36: Chinese gilt bronze water dropper. 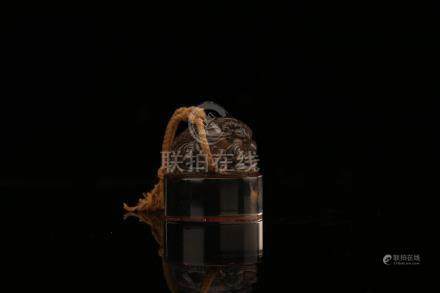 37: Chinese lacquer box, Qianlong mark. 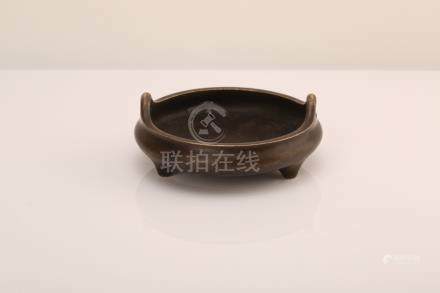 38: Chinese bronze tripod incense burner. 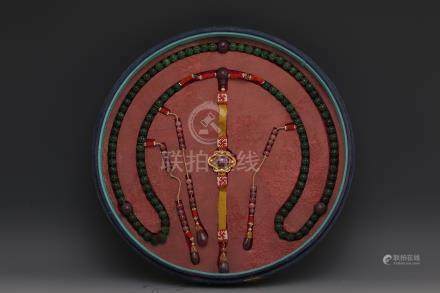 40: Chinese jadeite court necklace. Auction – This is a public sale conducted by Bethesda Auction. Bethesda Auction is the agent of the items being sold at auction. By bidding on any item at auction the purchaser agrees to be bound by these Conditions of Sale or any other conditions announced and/or published. As Is – All items (hereinafter referred to as item(s), lot(s), article(s), antique(s), property, etc.) for sale are sold “AS IS” and Bethesda Auction, its agents, employees, and/or consignors do not make any guarantees, warranties, or representations, expressed or implied, with respect to the items or the correctness of the catalogue or other description of the authenticity of authorship, physical condition, size, quality, rarity, importance, provenance, exhibitions, literature or historical relevance of the property or otherwise, except where applicable under the Terms of Guarantee (applies ONLY to published catalog auctions, NOT Online Only Auctions). No statement anywhere, whether oral or written, shall be deemed such a guarantee, warranty, or representation. Condition – All prospective bidders should inspect the property they wish to purchase prior to bidding. 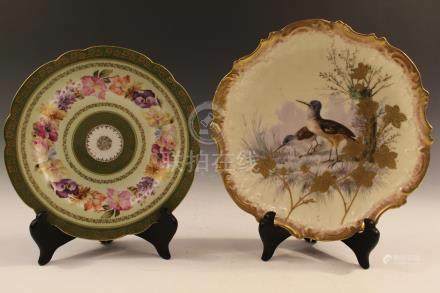 If a bidder is unable to view an item in person, they are responsible for obtaining a condition report and/or additional photographs prior to bidding to determine an article’s condition, size, and degree of restoration. 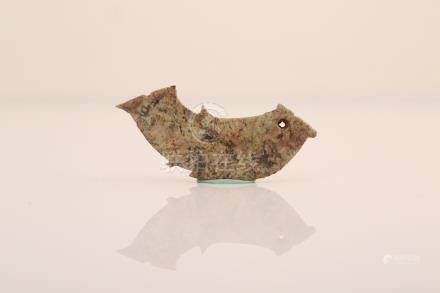 We endeavor to be fair and forthright with our descriptions and condition reports; however, bidders must acknowledge that antique items often show normal signs of use and wear, which might not be specified in a condition report. 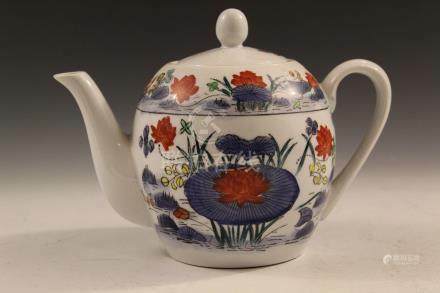 If you are a very particular client with expectations of perfection for the items you purchase, it is advisable that you inspect items in person or that you do not submit absentee bids as your definition of condition may be more exacting that an appraiser could have time to verify. The absence of a condition report does not imply that the lot is in good condition. 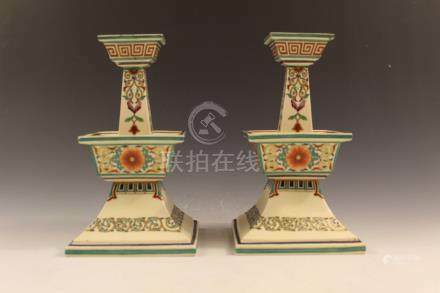 Bethesda Auction reserves the right to reject any request for condition report/additional photograph in which, in our opinion, the value of the object is not commensurate with the time necessary to complete the request. Please also note that the warranties given by Bethesda Auction (applies to published/printed catalog auctions only), do not extend to the condition reports. 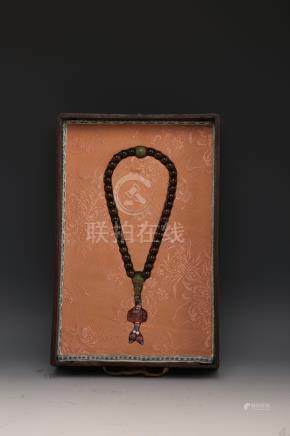 Lots, especially those containing semi-precious and precious stones, cannot be returned once they have been removed from the gallery. Weights and measurements are approximate. Bethesda Auction does not guarantee clocks, watches, mechanical banks, scientific instruments, electric lamps, and other mechanical or electric items to be complete or in working condition. 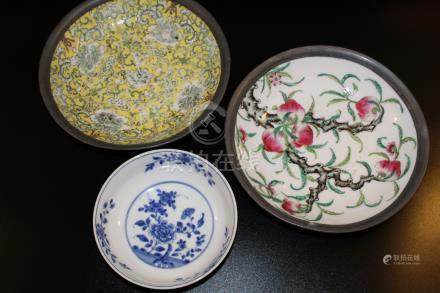 Display materials shown in photographs are not included with the lot unless stated in the description. Box lots (i.e. books) are only guaranteed to have those items listed in the description and no condition reports or additional photographs will be provided. Reserve – Some lots offered may be subject to a reserve. The reserve is a confidential minimum price agreed upon by the consignor and Bethesda Auction below which the lot will not be sold. A representative of Bethesda Auction will execute such reserves by bidding for the consignor. Reserves are set at or below the estimated range. 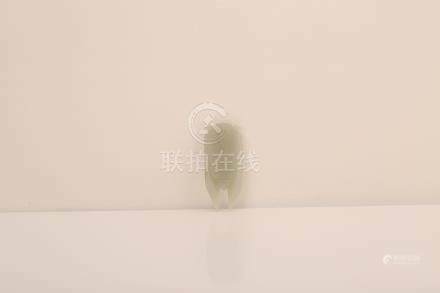 Under no circumstances will reserve amounts be disclosed to prospective bidders. Absentee bids are accepted and/or executed at the discretion of Bethesda Auction and at the risk of the bidder. Absentee bidding is a convenience for bidders not present at auction and we are not responsible for any errors or omissions in connection therewith. If it is necessary to change or cancel your absentee bid, your request must be received 12 hours in advance of the start of the auction and subsequently acknowledged. Submit changes or cancellations to bethesdaauction@gmail.com. Absentee Bids – Absentee bidding is only available for select sales (see Internet Bids for online absentee bidding). Any request for absentee bidding must be received by us in writing by bid form, online bid form, by fax, mail, and/or email at least 12 hours in advance of the start of the auction. We do not accept verbal requests for bids. Requests for absentee bids are executed by a designated Bethesda Auction employee with information provided to us by the bidder. Please check all information submitted for accuracy. The bidder should receive an acknowledgement that bids have been received and if no such acknowledgement is given, it is the bidder’s responsibility to confirm its receipt. Bethesda Auction executes bids based on lot number provided by the bidder, not the description, so please make sure that the lot number is correct when submitting bids. Telephone Bids – Telephone bidding is only available for select sales. Any request for telephone bidding must be received by us in writing by bid form, online bid form, by fax, mail, and/or email at least 12 hours in advance of the start of the auction. We do not accept verbal requests for bids. Requests for telephone bids are executed by a designated Bethesda Auction employee with information provided to us by the bidder. Please check all information submitted for accuracy. The bidder should receive an acknowledgement that bids have been received and if no such acknowledgement is given, it is the bidder’s responsibility to confirm its receipt. Bethesda Auction executes bids based on lot number provided by the bidder, not the description, so please make sure that the lot number is correct when submitting bids. When the telephone bidder’s lot is up for sale, a designated Bethesda Auction employee will call the primary telephone number provided by the bidder. If time allows, our designee will call the secondary number provided by the bidder. Our designee will make every effort to execute bidder’s instructions. It is recommended that bidders leave a back-up amount in the event that the telephone bidder is unreachable. Bidder agrees to a minimum opening bid of $500 per lot for telephone bidding, regardless of the value of the lot. Telephone bids are accepted and/or executed at the discretion of Bethesda Auction and at the risk of the bidder. Telephone bidding is a convenience for bidders not present at auction and we are not responsible for any errors or omissions in connection therewith. Internet Bidding – Internet bidding, both live and absentee, is available for all sales. A third party online bidding platform requires a separate registration. In order to expedite the online registration process, it is recommended that you register at least one day before the start of the auction. Information is transmitted to us from the online bidding site and bid amounts are anonymous and we do not have previous knowledge of bids left by registered online bidders. 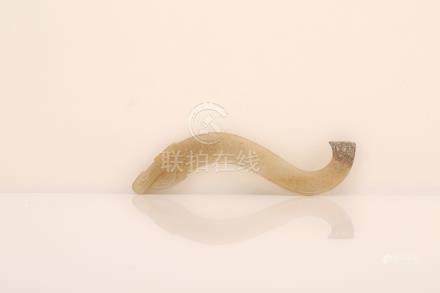 At the time of the sale, bids are executed by a designated Bethesda Auction employee transmitted to us by online bidding site. We are not responsible for any errors, omissions, ability or inability, in connection with bidder’s use of internet bidding as we are not able to control the transmission speed. Title – Title of each lot passes when the hammer falls and/or the auctioneer says “SOLD”. Thereafter, any loss by fire, theft, breakage, or any other cause is the sole responsibility of the purchaser. Merchandise must be packed and transported by the purchaser at his own risk and expense. Employees or agents of Bethesda Auction shall not pack or transport the merchandise. 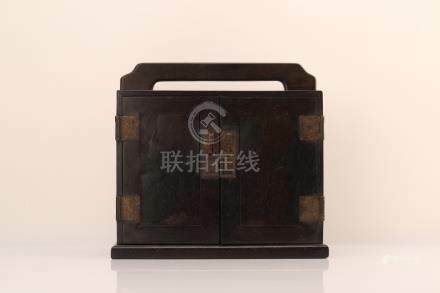 If the buyer requests assistance from an employee or agent of Bethesda Auction with packaging or transport it is fully at the risk, responsibility, and expense of the purchaser, and Bethesda Auction shall not be liable for any loss or damage that may be caused by such employee or agent. We are not responsible for any damage to property left on the premises, or removed and stored in a storage facility. Bethesda Auction is not responsible for the acts or omissions of third parties whom the buyer retains for shipping, or any damage that occurs after items are removed from Bethesda Auction’s auction house. Buyer’s Premium – A buyer’s premium will be added to the successful bid price and is payable by the purchaser as part of the total purchase price. A buyer’s premium for each individual lot is 22% (25% to 27% on third party online bid platform) of the successful bid price up to and including $1,000,000, and 13% on any amount in excess of $1,000,000. This amount will be added to the successful bid price of each lot and is payable by the purchaser together with the applicable sales or use tax which is applied to the total cost of your purchase. Online purchasers pay an additional 3% buyer’s premium for the use of the online bidding services. Sales Tax – Buyers will be required to pay Maryland Sales Tax of 6% at the time of payment unless: A) Items are shipped out of Maryland by an ICC licensed shipping company; and/or, B) The buyer provides Bethesda Auction with a valid Sales Tax License Number and completes and signs Maryland Exemption Certificate. Payment – Payment can be made with cash, money order, cashier’s check, bank wire, or personal/business check. For new clients, purchases paid for with personal/business check or international bank check/money order are not released until payment has cleared, 10 days post-deposit. We accept most major credit cards; however, there is a 3% surcharge to use your credit card for payment. A fee of up to $50.00 will be charged for returned checks. Payment is due no later than 10 days post sale. If payment is not received within 15 days of the day of sale, the credit card of record will be charged the invoice total plus a 3% surcharge. If no credit card is available or if payment has not been received within 28 days, Bethesda Auction will pursue alternate collection avenues starting 30 days from the day of sale in order to collect the balance due plus any storage, administrative, attorney, and/or court fees. After 15 Days – Charge the credit card number provided to Bethesda Auction by the buyer for the total due plus any applicable fees (storage, interest, etc.) plus a 3% surcharge. If a deposit was submitted prior to bidding, this amount will not be refunded, but be kept and applied towards any owed amounts. After 30 Days – File a Civil Complaint against the buyer to recover any balance due plus court fees, interest, storage fees, administrative costs, attorney fees, and any other applicable financial hardship caused to Bethesda Auction, and/or the consignor, or pursue other collection avenues to recover any and all losses. Shipping/Pick-Up – Bethesda Auction does not provide in-house shipping, but will assist bidders in coordinating shipping with an outside shipping company. We reserve the right to hold merchandise purchased until payment has cleared the bank (10 days for personal checks, business checks, and overseas money orders/cashier’s checks), if we deem such action necessary to protect our interest. Items paid for via bank wire transfer, cashier’s check, or money order will be released immediately. All items must be picked up, or shipping arrangements made, within two weeks of the day of sale. All bidders must notify Bethesda Auction by email, fax or telephone regarding their chosen shipper. The purchaser must pay the shipper in advance for all packaging expenses, including labor, materials, postage, and, if applicable, insurance fees. If the property purchased is subject to laws governing export from U.S. or laws restricting imports into foreign countries, the granting of licensing for export and/or import of such goods is the responsibility of the buyer. Pick-up shall be scheduled at least 24 hour earlier. Bethesda Auction will bring purchases to successful buyers, and/or their shippers, but buyers, and/or their shippers, must pack/wrap and load their items. No Chargeback Policy – Purchasers agree that disputes of any nature may not be resolved by a credit card chargeback and further agree to refrain from filing any chargeback claim against Bethesda Auction and/or its credit card merchant. By purchasing at Bethesda Auction, the purchaser waives the right to initiate a chargeback and furthermore agrees to pay a minimum of $500 plus administrative fees, costs, attorney fees, and/or any other charges associated with responding to said chargeback due to the administrative burden of responding to said dispute. Copyright – All information, text, articles, data, images, or other materials provided by Bethesda Auction either on our website, printed catalogue, and/or third-party website are copyrighted and sole property of Bethesda Auction. You may not edit, modify and/or make use of such copyrighted materials without the express, prior written consent of Bethesda Auction You may only use, download, and/or copy any materials for informational purposes. Limited Liability – Bethesda Auction shall not be liable for any amount in excess of that paid by the purchaser. See Terms of Guarantee for further details. Jurisdiction – Purchasers are governed by the laws of the jurisdiction in which the auction is held. By bidding at Bethesda Auction, purchasers consent to the exclusive jurisdiction of the courts in the State of Maryland. Bethesda Auction’s Period Furniture, Fine Art, and Accessories Sales carry a limited guarantee. This guarantee is designed to protect the buyer against major discrepancies. (i.e. 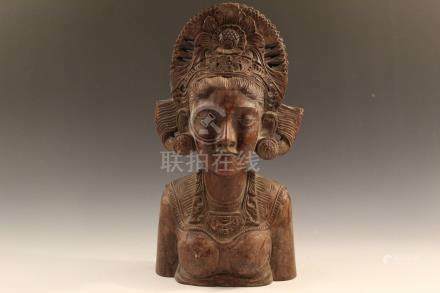 major restorations or repairs not described, fakes, forgeries, replicas, reproductions, or major fabrications) that would have a major effect upon the value of the item purchased. The limited guarantee only applies to period furniture, fine art and accessories sales, not decorative arts and/or online only sales. Bethesda Auction warrants the Authorship of items in Bold Face Type for a period of 15 days from the date of the sale of such lot and only to the original purchaser of record at the auction. 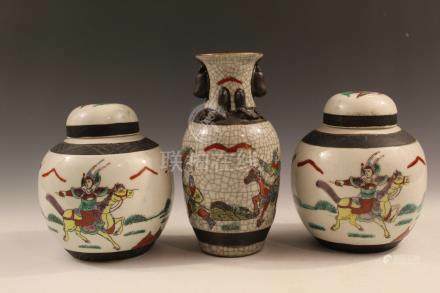 If it is determined to Bethesda Auction’s satisfaction that the Bold Face Type is incorrect, the sale will be rescinded, provided the entire lot is returned to Bethesda Auction in the same condition in which it was at the time of the sale. It is also Bethesda Auction’s general policy to have the purchaser obtain, at the purchaser’s expense, the opinion of one (or two in some cases) recognized experts in the field, mutually acceptable to Bethesda Auction and the purchaser, before Bethesda Auction determines whether to rescind the sale. The purchaser’s sole remedy in the event of disputed authenticity of authorship of any lot shall be rescission of the sale and restitution of the original purchase price and premium paid by such purchaser. Bethesda Auction hereby disclaims all liability for any damages, incidental, consequential or otherwise, arising out of or in connection with any sale to purchaser. Bethesda Auction will not refund any shipping and/or handling fees paid to a third party by the purchaser. Disputes of any nature may not be resolved by a credit card chargeback (see Conditions of Sale, No Chargeback Policy). Bidders are expected to examine material prior to purchase and at the time of pickup. If a bidder is unable to examine an item in person, they are responsible for obtaining a Condition Report and an Auction Addendum prior to bidding. 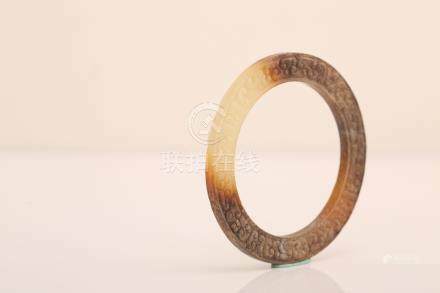 If you are a successful purchaser, prompt payment and shipping arrangements are expected, followed by immediate examination of all material purchased. The purchaser must notify Bethesda Auction of any major discrepancies to the description listed in Bold Face Type (unless previously corrected in the Condition Report and/or Addendum). Bethesda Auction pays its consignors 30 days after the day of sale. Once consignors have been paid, Bethesda Auction will not honor any requests for refunds. If a buyer suspects a major discrepancy, and will need longer than 30 days post sale to obtain documentation of such a discrepancy, they must notify Bethesda Auction in writing prior to that deadline so that payment can be withheld from the consignor until such time as the discrepancy is resolved or the sale is rescinded. Please note that this limited guarantee does not extend to any condition report, oral or written, provided to the buyer by Bethesda Auction Condition reports are provided as a courtesy and are not a replacement for physical observation/examination of the item(s) bidders wish to purchase, and as such, bidders must assume the responsibility for any errors or omissions contained therein. Notwithstanding any other provision of these Terms of Guarantee, Bethesda Auction disclaims all warranties of authenticity of authorship for all lots consisting of works of fine art by or attributed to artists, authors, or persons living before 1870 and, when no artist, author or person is so identified, works attributed to a period which includes any date prior to 1870 and all warranties relating to the identification of the periods or dates of execution of property which may be proven inaccurate. Electrified items – We do not guarantee the working condition of any electrified items such as lamps. Bethesda Auction will not be liable for accident or injury resulting in the use of any electrified item. Purchasers should have all electrified items they purchase examined by a certified electrician prior to use. Oriental Rugs – Bethesda Auction does not guarantee the names or patterns of Oriental rugs. Sizes provided are approximate. Wine and Spirits – Purchasers of alcoholic beverages must be at least 21 years of age. Wine and spirits sold at auction may be subject to laws governing export from the State of Maryland/US and import to other states/foreign countries. It is the Purchaser’s responsibility to obtain any necessary import/export license and should secure the license prior to purchase. Sales will not be rescinded for inability to obtain a license or delay of same. Purchasers are governed by the laws of the jurisdiction in which the auction is held. By bidding at Bethesda Auction purchasers consent to the exclusive jurisdiction of the courts in the State of Maryland. Bidding on any item indicates your acceptance of these Terms and all other terms announced/published at the time of sale.